Southampton University is located in the city of Southampton UK and is a respected British Russell Group university with a lot of history. The university traces its origins back to 1862 when Henry Robertson Hartley handed a legacy to the Corporation of Southampton that lead to the founding of the Hartley Institution. By 1902, the Hartley Institution had grown to become the Hartley University College, awarding degrees of the University of London. The Hartley University College was granted a Royal Charter on 29 April 1952 that gave it full university status as the University of Southampton. 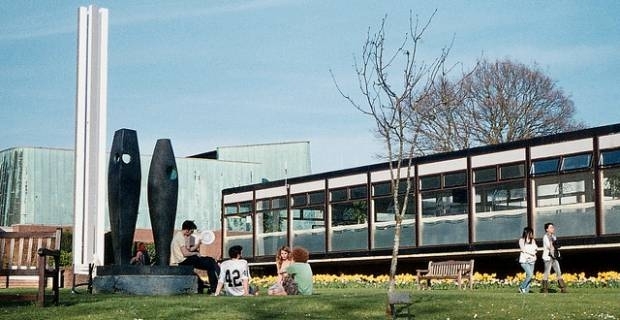 Southampton University lies in one of the greenest and most dynamic cities in the south of England. This grants the university a vibrant learning environment with bustling marinas, captivating natural heritage attractions, scenic parks, vibrant night life, enticing eateries and superb leisure facilities. There really is no shortage of things to see and do for everyone in Southampton. The approach to teaching, learning and student experience at Southampton University is designed to provide every student a challenging and supportive learning environment in order to realise educational goals. The university undertakes to ensure every students fulfils their innate potential to the fullest. Opportunities to gain transferable skills that employers look out for abound here, including leadership, teamwork and foreign languages skills. If you are looking to pursue an undergraduate degree, the University of Southampton offers undergraduate courses that span over 65 subject areas. Beginning from 2012, the university has been actively undertaking exciting changes to degree courses that are designed to give students more room to tailor their degrees to their specific needs. Opportunities to gain transferable skills are just the icing to the educational cake you get in popular fields of study, such as Accounting Finance, Applied Social Sciences and Aeronautics & Astronautics. With more than 5,000 houses of residence in 20 halls set aside for student accommodation, Southampton University is one of the largest providers of university accommodation in the UK. You can be sure you will have not only a conducive learning environment to meet your educational goals, but also more course options, flexibility in the choice of study themes around your chosen subject area and adequate accommodation in Southampton University. Find out more about the diverse range of subject areas you can pursue, accommodation options and tuition fees in Southampton University at the university website at southampton.ac.uk.